Welcome to ‘France et Moi’ where this week I am talking to author Julia Stagg about what France means to her. Julia lived in the Pyrenees region for six years, running an auberge with her husband and in her spare time coming up with the plot for her series of novels set in the fictional mountain village of Fogas. Read my reviews of L'Auberge here and The Parisian's Return here. I am a big fan of these books as not only is Julia a great storyteller but she also manages to portray the essence of a real French village. 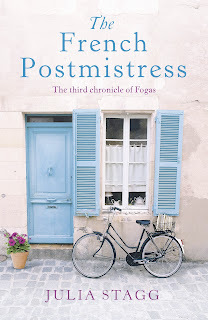 It is therefore exciting news that yesterday book three, The French Postmistress , celebrated it’s release – you can buy it NOW! Julia: The Gallic shrug. That lovely lift of the shoulders, twist of the lips and an expression that dares you to contradict. It is the pinnacle of non-verbal communication that the French so excel at. Combine that with the hand gestures, the faces that aren’t afraid to show what they think, and a passion for language - that’s what makes France so special for me. Julia: Six years running an auberge in the Pyrenees means there were a lot of brilliant experiences (and difficult ones!) but the one that stands out happened just after we arrived. It was March and three men came to the back door of the auberge. Our French was poor. Their English non-existent. But we managed to understand that they wanted to hire the restaurant and agreed, even though we weren’t sure what it was for. Turns out it was for a party that lasted through the night and into the morning and incorporated the entire community. It was fantastic, marking the beginning of our life as ‘locals’ in the area and the three men and their families became firm friends. Julia: Scariest thing is easy. Answering the phone! That deluge of language with no facial expressions to help you out. So difficult. And of course, our livelihood was depending on it! It got easier. Eventually! Best thing? When guests at the auberge complimented the food. The vast majority of our clients were French so I was always conscious that we were Anglo-Saxons cooking for the masters of cuisine. Consequently, their appreciation for what we served in the restaurant made me feel fantastic. Julia: Ohh. Never ask a linguist that! I could drone on for hours... But I’ll give you one good tip. You know how when you go to fancy dress parties everyone behaves differently because they’re ‘in character’? Do the same with French. Try to imagine you’re French when you use it – despite your poor accent or mistakes – and you will feel less self-conscious. Honestly. It works! Julia: This is going to sound so unsophisticated but chocolat chaud. And a pain-au-chocolat. You know what happens next… (Jacqui: no dunking allowed on this blog I’m afraid). Julia: Cassoulet. Anyone who has read my books will know that I’m obsessed with it. It’s hearty. Comforting. And totally filling! But I’m always amazed at tourists who arrive in the area in the heat of July and order it for lunch. And then stagger out of the restaurant feeling sleepy. 7) Is there anything French you won’t eat. Julia: Foie gras if I can help it. For me, the taste simply doesn’t justify the process. Other than that, I’m always open to try new food – it’s one of the best things about living in another country. Julia: Having lived in the Ariège-Pyrenees, it has to be the Tomme! Julia: I’m going to be boring and say a glass of red. I never get tired of finding new wines to try and am constantly amazed at the variety of flavours the viticulturists manage to produce from what is essentially the same raw ingredient. Julia: I’m currently writing book four of the Fogas series, and I can tell you, it’s been tricky setting my work in a sweltering July in the Pyrenees when I’ve been surrounded by the worst winter on record! Followers of the novels will be pleased to know it will feature the usual suspects…and a few new ones too. 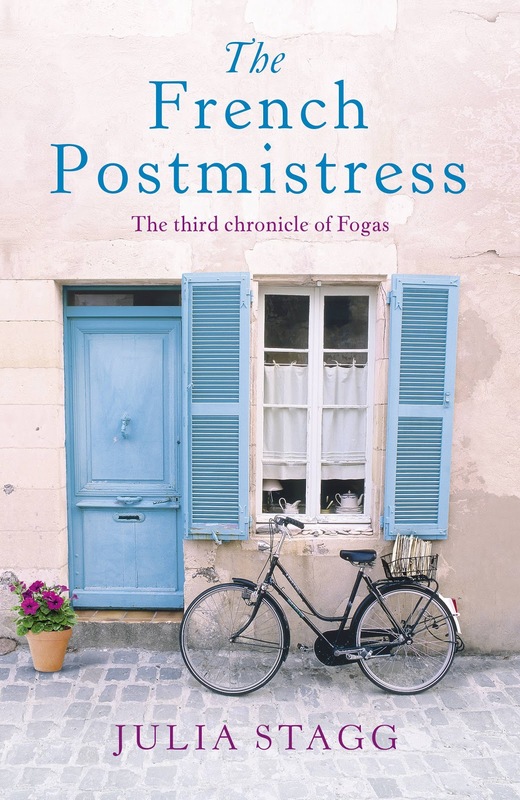 As you mentioned, the third book, The French Postmistress , is out in the UK and publication is always an exciting time. For a writer, there is a long wait between completion of a work and getting feedback (family and editors don’t count!) so I’m looking forward to hearing what readers have to say about it. Thank you for taking the time to answer some questions about France and you and good luck with the new book. Julia: C’est mon plaisir! And keep up the good work with French Village Diaries. I've read The Auberge and really enjoyed it, must read the next ones.